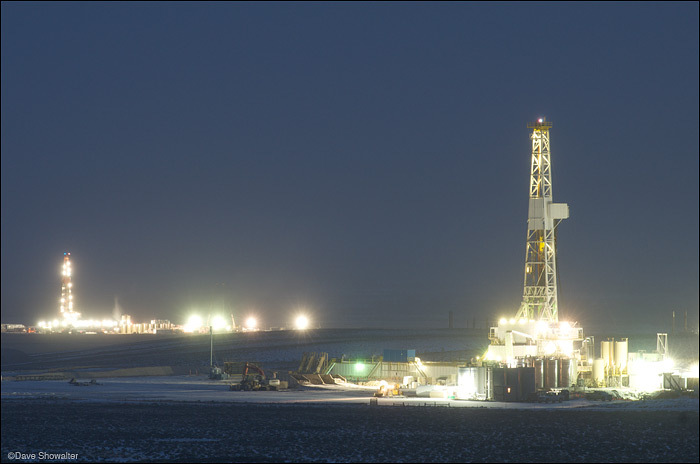 Brightly lit gas rigs in pre-dawn fog on the Pinedale Mesa, where it's never truly dark. The recent decision to allow drilling on mule deer winter range is attributed to a decline of 30% of the Pinedale mule deer herd last year. The herd poulation is down 60% since 2001. Photo © copyright by Dave Showalter.